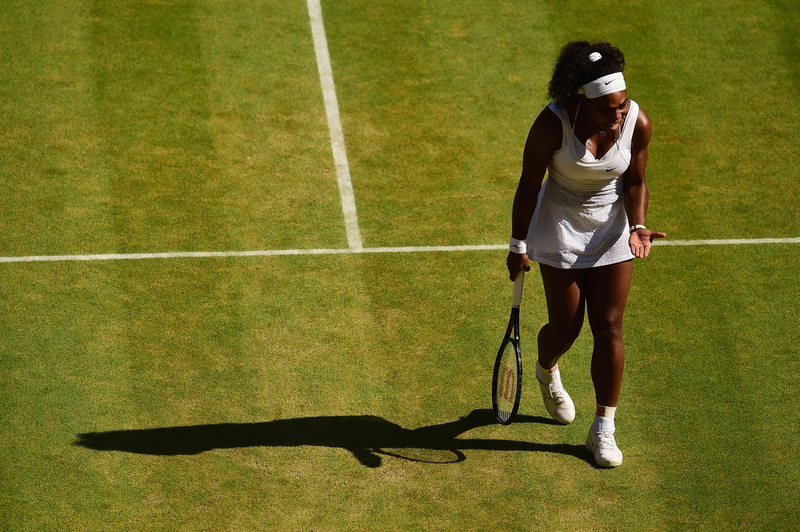 Serena Williams looks to win her sixth Wimbledon title and fourth consecutive major title on Saturday in the Wimbledon final against Garbine Muguruza, who is playing in her first Slam final. 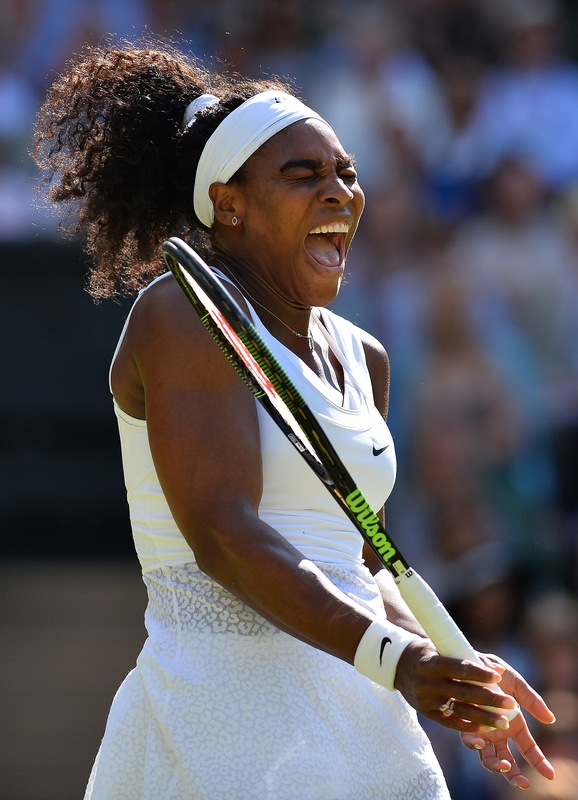 LONDON – Serena Williams is one win away from winning her sixth Wimbledon title and fourth consecutive major title to complete the so-called "Serena Slam.” Standing in her way is 21-year-old Garbine Muguruza of Spain, one of the WTA's steady rising stars who will play in her first major final on Saturday at the All England Club. 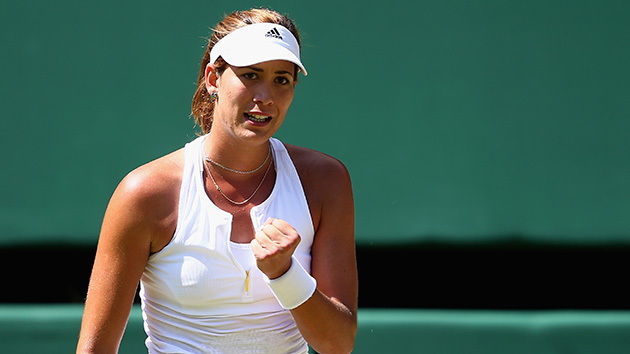 For those who dip in and out of tennis' 11-month season, Muguruza may be an unfamiliar name. Not to Serena. The affable young Spaniard was on the giving end of Serena's most lopsided loss at a major, a 6–2, 6–2 romp in the second round of the French Open last year. She did it power and poise, rolling through the win in just 64 minutes, and went on to push eventual champion Maria Sharapova to three sets in her first Slam quarterfinal. 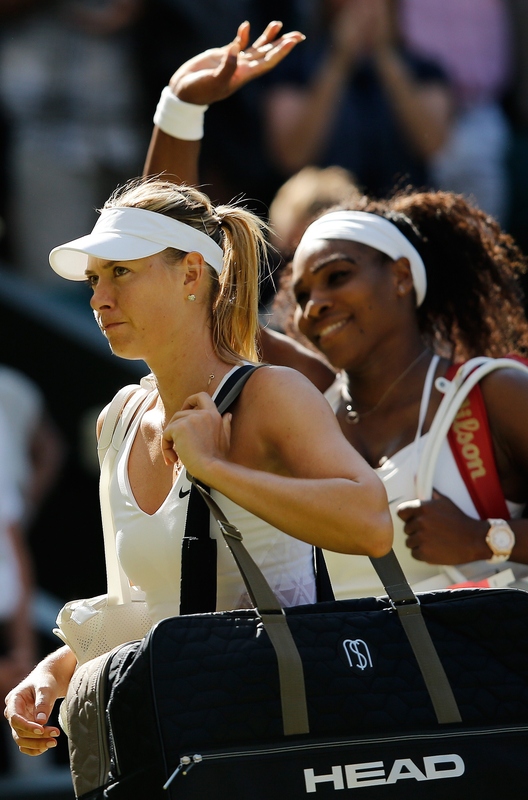 "It was an eye‑opening loss for me," Serena said. "Some losses you're angry about, and some losses you learn from. That loss I think I learned the most from in a long time. I got so much better after that loss." Serena wasn't the only one to learn something from that match. Muguruza's run to the French Open quarterfinals kicked off what has been a confident rise through the WTA rankings over the last 14 months. On Monday she will make her Top 10 debut at No. 9 and would move up to No. 6 if she wins the title. Her win over Serena last year proved to herself that she belonged with the game's elite, and she nearly repeated the feat in January, where she took Serena to three sets in a 2–6, 6–3, 6–2 loss at the Australian Open. "[The match at the French Open was] really important because it makes you see and realize that she's also a person," Muguruza said, after beating No. 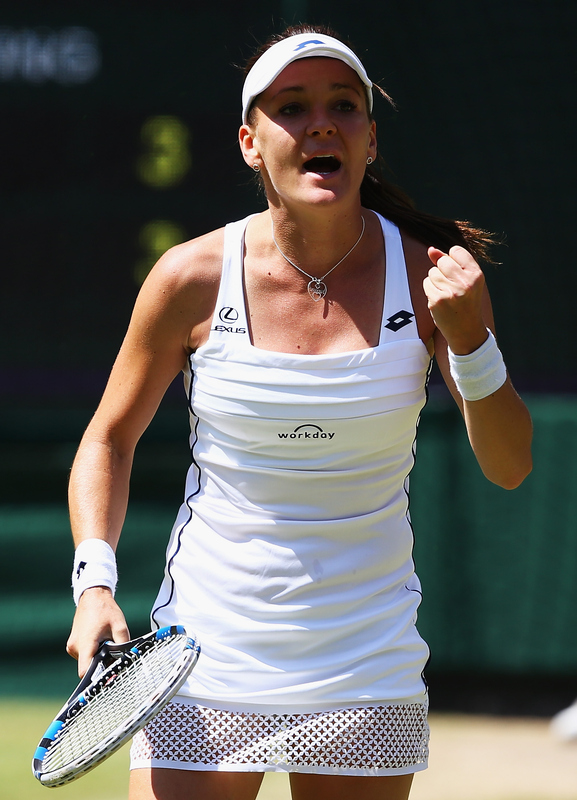 13 Agnieszka Radwanska in the semifinals on Thursday. "She also has feelings. She's also nervous. To her, she knows that I can win against her, that I'm not afraid." Muguruza is right. 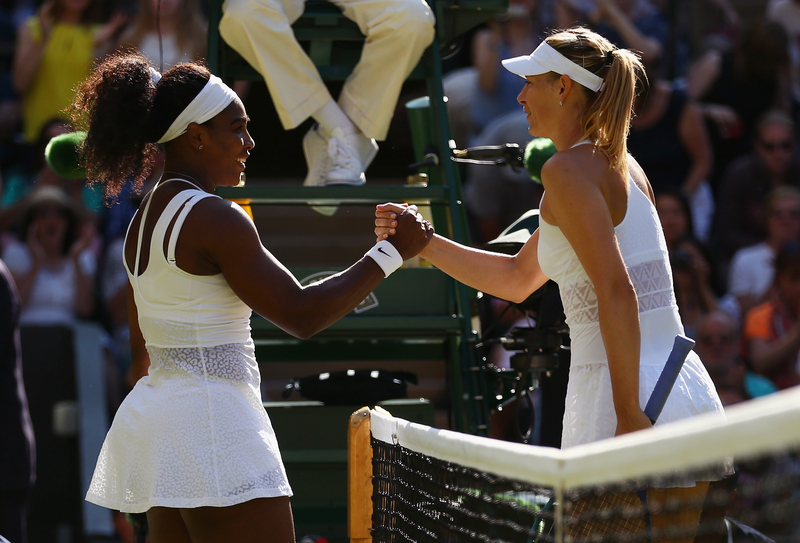 Said Serena: "I don't think she's intimidated at all. She's not that kind of person. So she'll be fine." 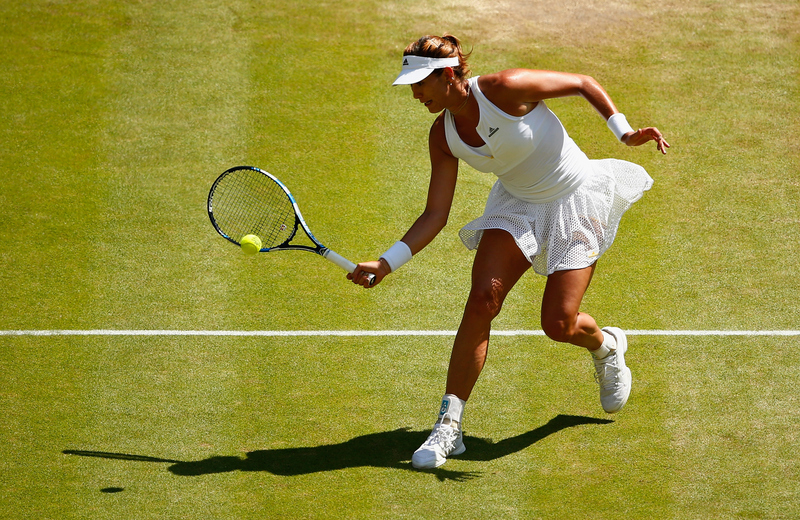 Muguruza's run to the Wimbledon final has been nothing short of a revelation, not just to the outside world but also to herself. Before the tournament she confessed to Spain's Fed Cup captain Conchita Martinez—the last Spanish woman to win Wimbledon—that she wasn't confident in her chances here. 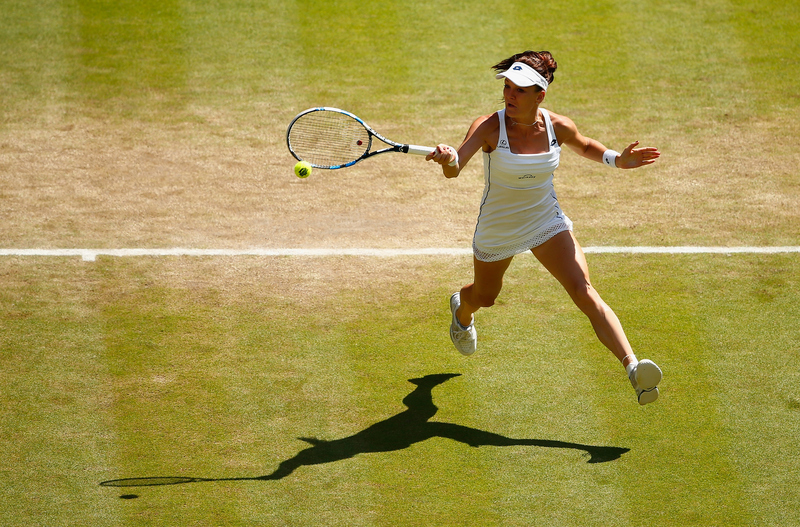 Playing in just her third Wimbledon, the grass left her flummoxed. The bounces were weird. The ball stayed too low. She struggled to figure out her movement. ​But her powerful game is perfect for the surface. She's proven that with four straight upset wins over No. 5 Caroline Wozniacki, No. 10 Angelique Kerber, No. 13 Agnieszka Radwanska and No. 15 Timea Bacsinszky. But those players are underpowered counter-punchers. 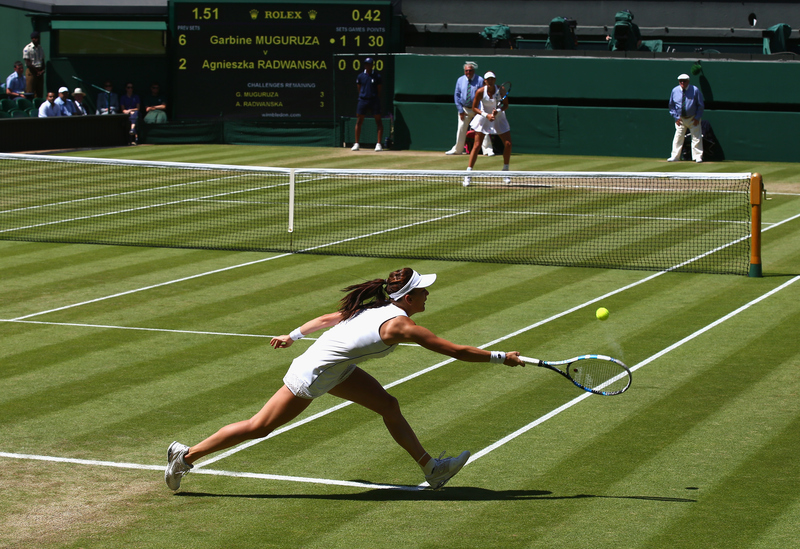 Now Muguruza waits to see how her grass game stacks up to the most dominant player in the game. "If you want to win a Grand Slam, when you dream, you say, I want Serena in the final," Muguruza said. 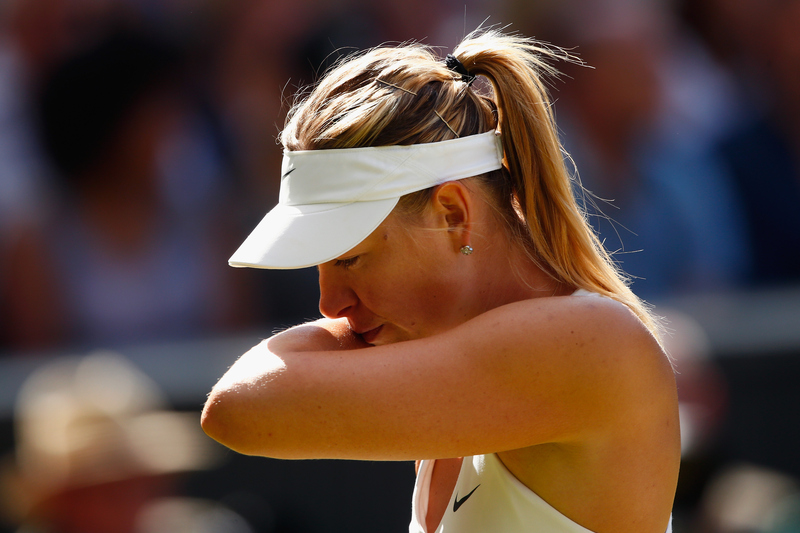 "She's like one of the best players in all these years. So it's obviously I think the best challenge to have." Given their battles in the past—Serena has won two of their three meetings—there's no risk of Serena underestimating her challenge on Saturday. 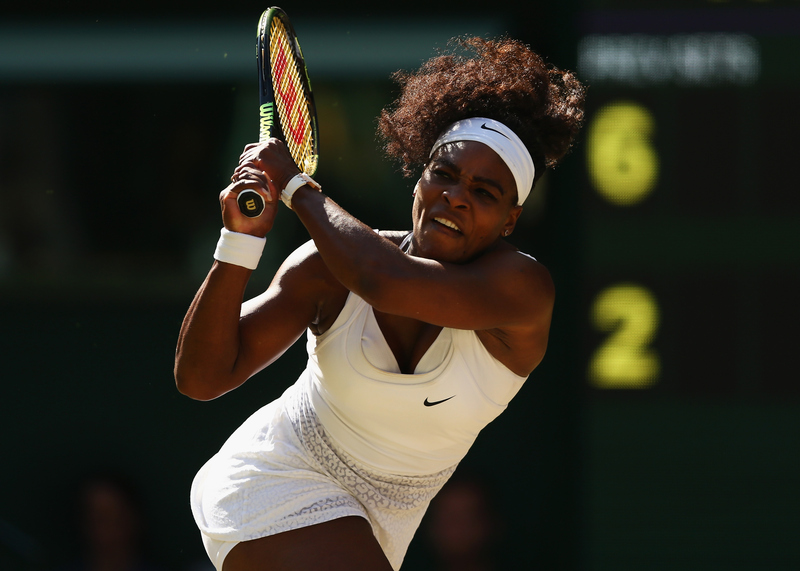 "It's definitely not an easy matchup," Serena said. "She actually has a win against me. We had a tough match the last time we played. And she's given me problems in the past." For each woman, managing nerves will be a priority. Serena is playing in her 24th major final and is going for her 21st title, which would put her just one behind Steffi Graf's Open Era mark of 22 major singles titles. Muguruza is playing in her first final and has shown some signs of shakiness, particularly in her semifinal win against Radwanska. 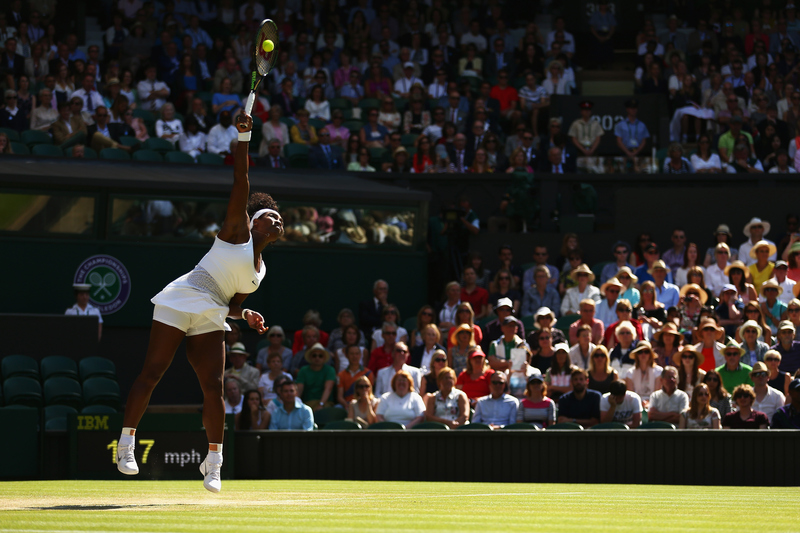 She led by a set and a break before losing six consecutive games and battling back in the third set. Serena has worked hard to manage the external pressures as she tries to complete the "Serena Slam" for the second time in her career. She cut offs questions that even mention the phrase—it's become a running joke in press conferences as reporters try and work around her ban—while also insisting that she has nothing prove to anyone. This is a more relaxed Serena, buoyed by the confidence gained from fighting through illness to win the French Open last month. She's battle-tested and ready to grind it out to get the win. "I've won so many Grand Slam titles," Serena said. 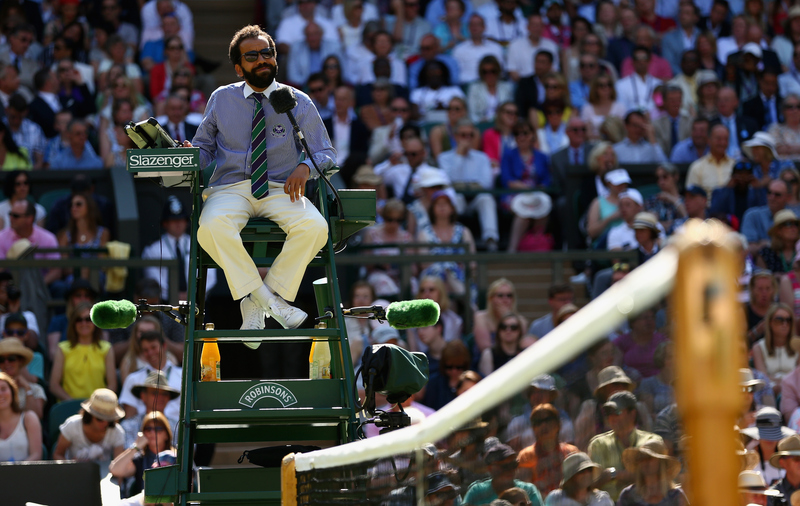 "I'm at a position where I don't need to win another Wimbledon. I could lose tomorrow. Sure, I won't be happy. But I don't need another Wimbledon title. I don't need another U.S. Open. I don't need any titles to make it." As for Muguruza, she insists she's not a superstitious person. But her parents will be watching the final from Barcelona because she doesn't want to change anything about her preparation. In contrast, Serena will have Drake in her player's box, a good luck charm that has been working so far for her. "It's all about luck," Serena said. "You got to keep your luck around. We've been friends for like so many years, just like family." Muguruza quipped that she's been brushing her teeth with the same number of strokes and getting out of bed with the same leg all tournament, not to disrupt her dream run. She's been avoiding her cell phone to try and stay focused on the task at hand. Win or lose, Muguruza said, Saturday will be the best day of her life. 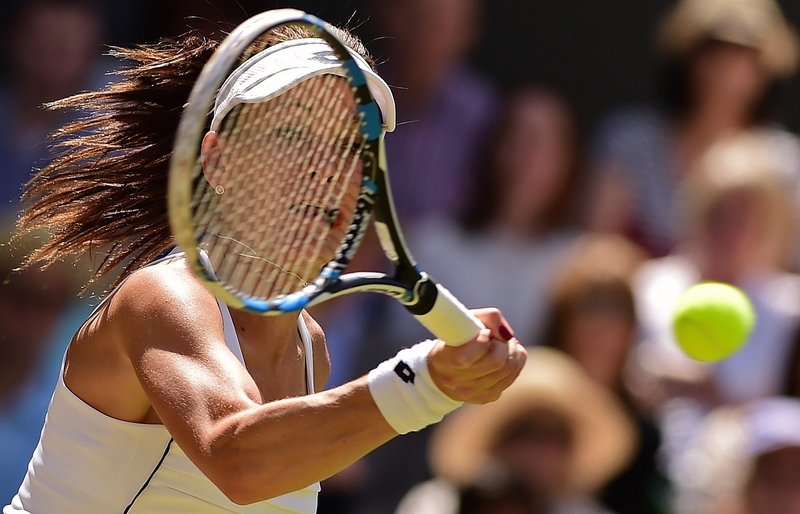 "When I was eight, I was dreaming [of playing Serena in a Slam final]," Muguruza said. "Now 11 years after, it's happening. It's amazing. But it's what I've worked for. It's the best. Now I'm feeling that all my effort, all the work that I did before, it's like paying off."